Do you need customized garments that are top notch when it comes to quality? If so, you need a professional screen printing company. There are lots of printers out there, but that doesn’t mean they’re at the same level of quality. If you need professional screen printing then you should come to AMBRO Manufacturing because we have just what you’re looking for. AMBRO Manufacturing is a contract apparel customization company with over 30 years in the business so we’ve got decades of experience to offer you. Also, since we’ve been around for so long, we’ve been able to amass all kinds of useful garment decoration methods. 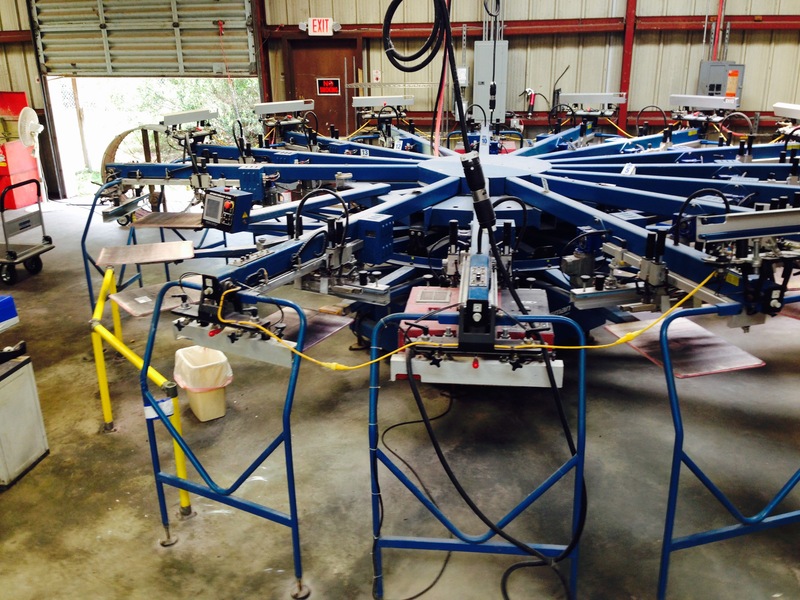 On top of professional screen printing we offer such services as oversized printing, dye sublimation printing, scented printing, embroidery, foil printing, transfer printing, water based and discharge ink printing, and tons more! There is really something here for everyone and every design! Best of all, our printing is done right here in-house which allows us to maintain a high level of quality control for each and every custom project we handle. Our support staff is here for you if you ever have any questions or require any assistance as you make your way through the process, so there’s no reason why you shouldn’t be able to find customization success even if you’re just starting out. We even keep low minimums so that anybody can try out professional screen printing, but don’t think we can’t handle your wholesale bulk orders too! So if you are interested in creating customized garments with us at AMBRO Manufacturing all you have to do is reach out to one of our representatives to get started. You can easily contact us to place an order or to find out more about our company and customization services, by email or by giving us a call at (908) 806-8337. 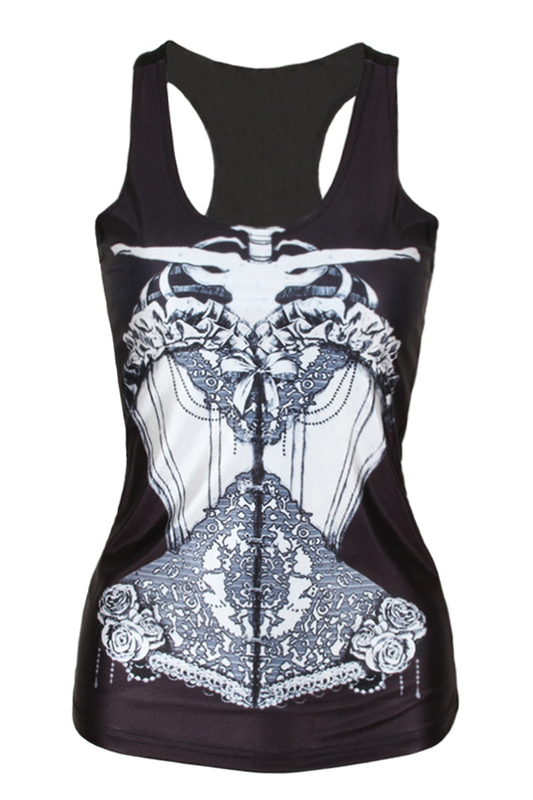 Interested in creating your own customized garment fashion line? I would highly recommend contract screen printing! 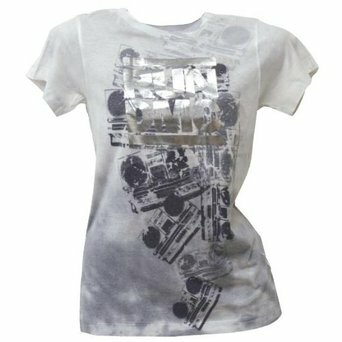 A contract screen printer has the resources you need to create tons of unique garments, so that’s the best way to get started. If you are in need of a contract screen printing company who can produce your designs then you’ve come to the right place because AMBRO Manufacturing can do all that and more! AMBRO Manufacturing can provide you with excellent contract screen printer resources because we’ve been in business for over 30 years and you don’t stick around for as long as we have without being able to offer top notch quality. In fact, we can offer many garment decoration services in addition to contract screen printing so you’ll be able to create truly unique designs in many different ways! All of our printing is handled right here on-site so we are able to monitor each and every project as it makes its way through production to ensure superior quality control. Are you new to the contract screen printer world? Don’t worry if you are because our support staff is here to help. We always keep open lines of communication so that you can have your questions answered and receive guidance whenever needed. It’s easy to get your own projects started with us as all you have to do is reach out to one of our representatives who can assist you. 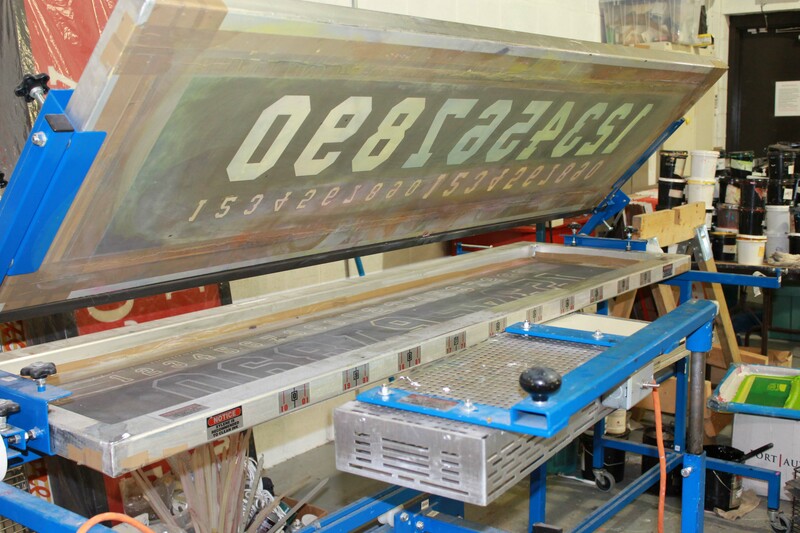 So if you’re ready to embark on your custom contract screen printing journey with us at AMBRO Manufacturing, we encourage you to reach out to us today! You can easily contact us to place your order, or to find out more about our company and all of the customization services we have to offer, by email or by giving us a call at (908) 806-8337. 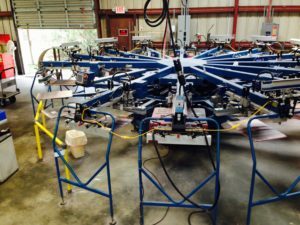 If you want to make your own custom printed garments and you aren’t already in the business, then odds are high that you need a contract printing company to get it done. The trouble is that there are lots of contract printing companies and they are not all the same. If you want professional quality contract printing you should come to AMBRO Manufacturing where we can help you with that and more! AMBRO Manufacturing is a contract apparel customization company so we take care of more than just screen printing here; we can offer you all sorts of interesting decoration methods like oversized printing, dye sublimation printing, scented printing, foil printing, water based and discharge ink printing, embroidery, transfer prints, and even more. All of our printing is done right here on-site too and that affords us the opportunity to monitor each and every project we work on from start to finish for superior quality control. Our support staff is also here to answer any questions you might have as well as provide guidance whenever necessary, so there is no reason why you shouldn’t be able to achieve success even from your very first time! So how can you get started on your very own screen printing? It’s easy because all you have to do is reach out to one of our representatives and we can assist you from there. You can even place your orders online with us and never even have to step foot in the facility; talk about convenience! So if you are interested in placing an order with us, or if you would like to learn more about our company and all of the customization services we can offer you, you can easily contact us by email or by giving us a call at (908) 806-8337. If you need a top quality custom T shirt company then you’ll be happy to know that we at AMBRO Manufacturing are just that and more! 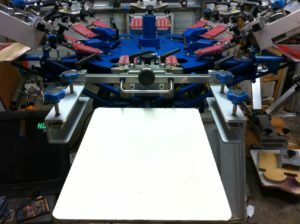 We are a contract apparel customization company so we can easily handle your custom T shirt printing needs. 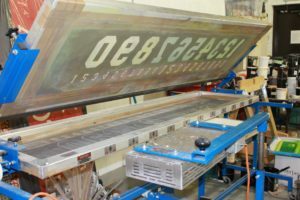 If you care about quality, then you’re in luck, because we’ve been in business for over 30 years and you don’t stick around as long as we have without providing top notch custom work. It’s easier than you might think to customize your own T shirts, so why don’t you check us out to see how we can help you? 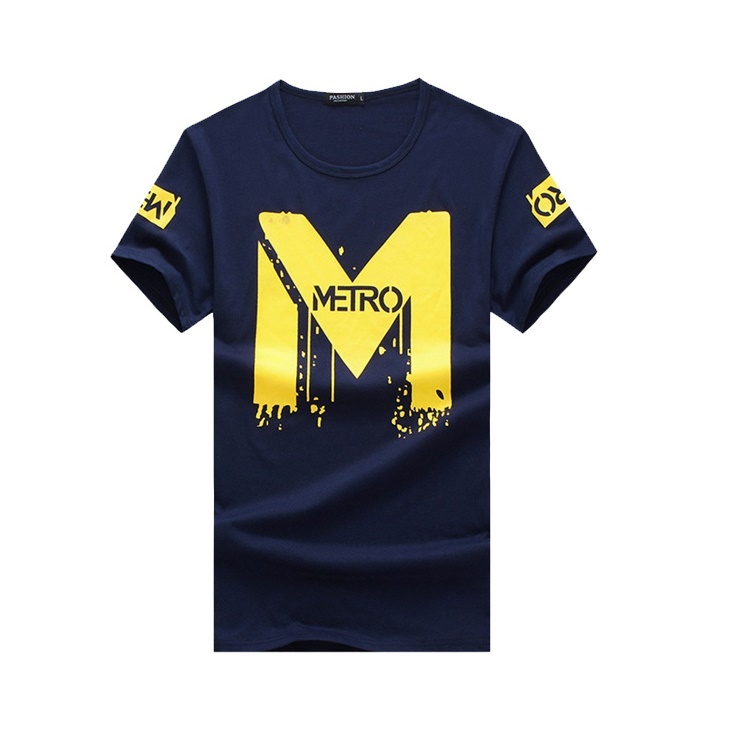 One of the best reasons to make AMBRO Manufacturing your custom T shirt company is that we offer a wide variety of customization services in one convenient place. You can find services like oversized printing, scented printing, foil printing, water based and discharge ink printing, embroidery, dye sublimation, transfer printing, and tons more! What other custom T shirt company do you know that hosts all of those options? All of our printing is handled right here in-house which means that we are able to oversee every aspect of production from start to finish to maintain superior quality control. Have you never used a custom T shirt company before? No sweat! You can easily reach out to one of our representatives to get a project started and we’ll be able to guide you from there. Our support staff is always available to answer any questions, so you’ll be able to achieve customization success even from your very first design! So if you are interested in making AMBRO Manufacturing your go-to custom T shirt company, or if you would like to learn more about our company and services, you can contact us by email or by giving us a call at (908) 806-8337. 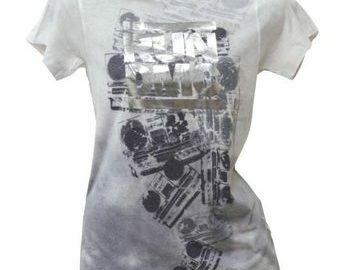 There are so many custom t-shirt screen printing and embroidery companies around the world. If you want something that is cheap in coast you will also get cheap quality custom t-shirt screen printing and embroidery. With that being said you more than likely do not want to go overseas to get your screen printing and embroidery done. There are a lot of screen printing and embroidery companies in the United States but you have to be careful because some of them are just out to get your money and will charge you an arm and a leg but give you cheap printing and embroidery. If you want good quality custom t-shirt screen printing and embroidery then you have come to the right place. 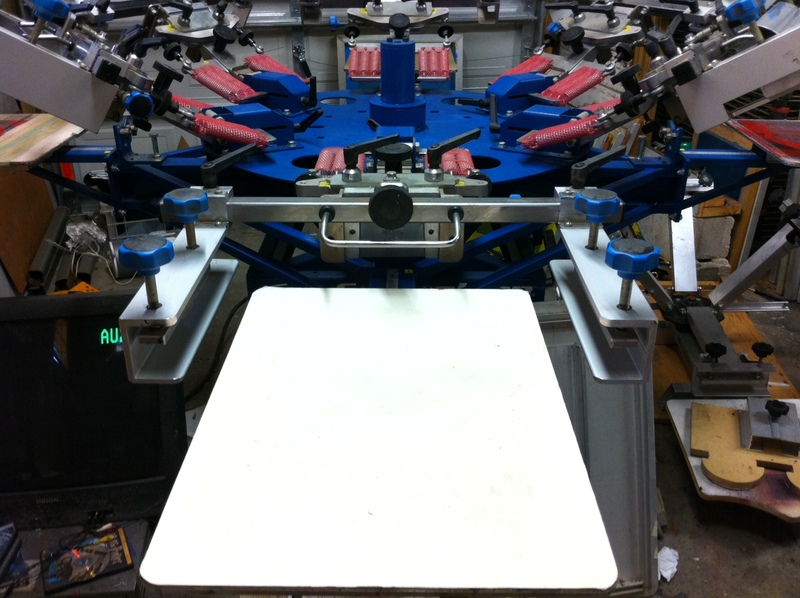 AMBRO Manufacturing does only the best custom t-shirt screen printing and embroidery. And guess what? AMBRO Manufacturing is right in the United States. Not only does AMBRO Manufacturing supply you with quality screen printing and embroidery they also have great prices. You don’t have to keep looking for a screen printing and embroidery company because we have all that you need right here in one place. What more could you ask for? And we do all of our work right in little ole New Jersey in our warehouse. There is nothing better than when you can get everything you need right in one place. If you think you may be interested in working with AMBRO Manufacturing you are going to want to give them a call at (908) 806-8337. Or you can send them an email to see if they can accomplish what you are looking for. And I am sure that they will be able to do whatever it is that you may need. So what are you waiting for pick up that phone and call today. 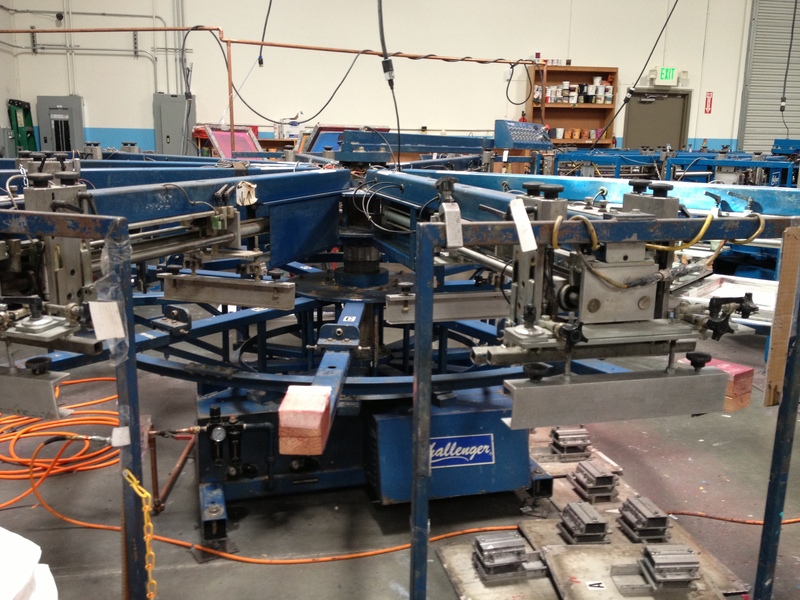 Are you searching for the perfect place to produce your wholesale printed T shirts? AMBRO Manufacturing is here to help! 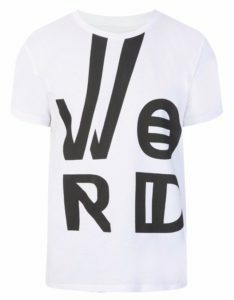 As a custom garment designer, wholesale printed T shirts are the only way to go because you want to make a profit right? Wholesale printing means ordering more volume so you can get a higher discount since you intend on selling your customized garments. We at AMBRO Manufacturing even post our wholesale prices publicly online so you know just what you’re going to spend before you even reach out to us to start and order! Now when you create your own wholesale printed T shirts, you’re surely going to want great quality to come with your great price and AMBRO Manufacturing can deliver! 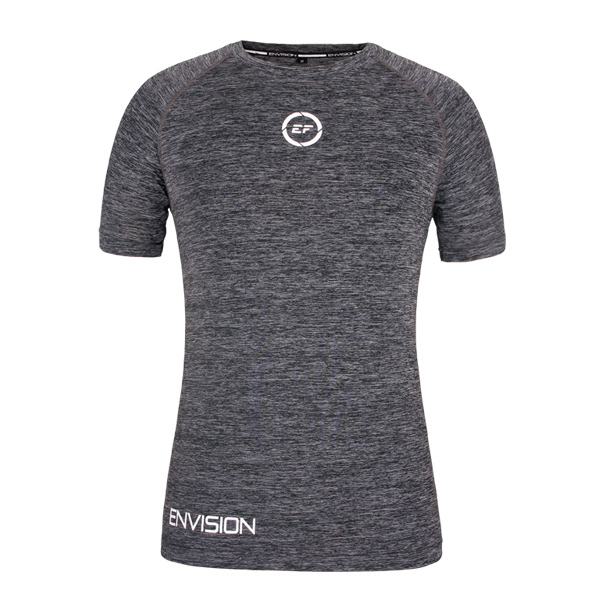 We are a contract apparel customization company with over 30 years in business so we have decades of expertise to offer to your custom designs. Also, since we’ve been around for so long, we’ve amassed many different customization techniques that you can use to create truly unique designs. You can mix and match services to make one-of-kind fashion pieces! 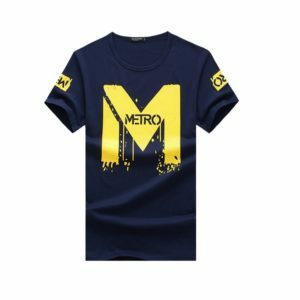 AMBRO Manufacturing is a unique company in that we are able to provide wholesale printed T shirts for bulk orders, but we also keep low minimums so that everyone can enjoy quality custom printing. So there’s really something here for every one and every occasion. It’s easy to get a project started with us as all you need to do is reach out to one of our representatives who can guide you from there. If you would like to place an order with us, or if you would like to learn more about our company and all of our customization services, you can easily contact us by email or by giving us a call at (908) 806-8337. Did you ever want to design your own shirt before? If you think that you’re not “big” or “important” enough to create your own customized shirts, then you are mistaken! Anybody can enjoy custom garment printing as long as you know where to start. So if you are interested in silk screen shirt printing of your own, why don’t you come to AMBRO Manufacturing where we can help you? If you’re just starting out, you’ll want to be sure that you’re working with a company that has the services you need for your designs. You won’t have any trouble with that step though because you’ve already found AMBRO Manufacturing! AMBRO Manufacturing is a contract apparel customization company with over 30 years in business so we’ve got everything you’ll need. 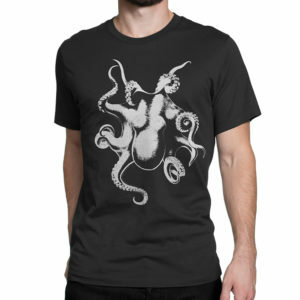 You already know that we offer silk screen shirt printing, but we didn’t stop there. Over the decades we’ve added all sorts of nifty decoration methods that you can benefit from. We’ve got oversized printing services, foil printing, printing with water based and discharge inks, embroidery, sublimation printing, transfer printing and so much more! Best of all, it’s all in one convenient location! AMBRO Manufacturing is a unique company in that we keep low minimums while still maintaining the capacity to handle massive bulk orders too. So if you’re just looking for some custom silk screen shirt printing for a small event or if you’re looking to hold a major promotional function, we’ve got your back. If you are ready to start silk screen shirt printing today, we at AMBRO Manufacturing are ready and waiting for you to reach out to us. You can easily contact us to place an order, or to find out more about our company and all of our customization services, by email or by calling us at (908) 806-8337.